The CG200P provides PAL video test patterns, selectable from: Full Field Color Bars, Cross-hatch, Red raster and Staircase. An audio tone is also provided. 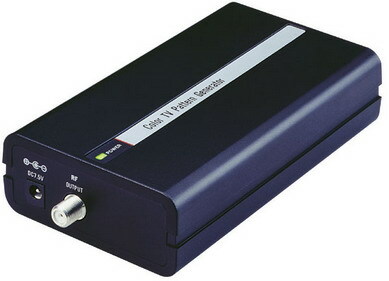 The test signal is provided as an RF output as well. Ideal for TV serviceman. Compact size, light weight, AC adaptor operated. RF modulator, and Audio/video output. Generate four basic patterns: Color bar, Cross-hatch, Staircase, and Red raster pattern.